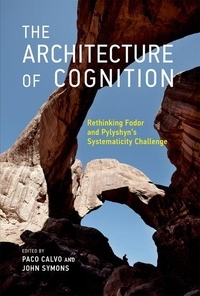 In 1988, Jerry Fodor and Zenon Pylyshyn challenged connectionist theorists to explain the systematicity of cognition. In a highly influential critical analysis of connectionism, they argued that connectionist explanations, at best, can only inform us about details of the neural substrate; explanations at the cognitive level must be classical insofar as adult human cognition is essentially systematic. More than twenty-five years later, however, conflicting explanations of cognition do not divide along classicist-connectionist lines, but oppose cognitivism (both classicist and connectionist) with a range of other methodologies, including distributed and embodied cognition, ecological psychology, enactivism, adaptive behavior, and biologically based neural network theory. This volume reassesses Fodor and Pylyshyn's "systematicity challenge" for a post-connectionist era.